Samsung = Samsung Galaxy Dex, Samsung Galaxy A7 (2017), Samsung Galaxy A5 (2017), Samsung Galaxy A3 (2017), Samsung Galaxy C7 Pro, Samsung Galaxy C9 Pro, Samsung Galaxy S8, Samsung Galaxy S8 Plus, Samsung Galaxy Note 7, Samsung Galaxy Tab S3, Samsung Galaxy TabPro S.
High quality and durable100% Brand New and High QualityReplacement Charger Cable Fashionable and practicable design, light weight, easy to carry with USB interface, convenient to charge the device Special magnetic plug design, strong suction Especially design for Pebble 1 Smart Watch Useful and convenient for you to charge your Pebble Smart Watch with PC/AC charger when traveling, ideal for the travelers and business men Just connect the USB end of the cable to PC or AC charger to get your watch charged Please Note: 1.This is just a charging cable, NOT data cable 2. Pebble Smart Watch is not included. 3. Not compatible with Pebble Steel. Weight 19g Color Black Length approx 110cm/43.31" Compatible with For Pebble 1 Smart Watch Type USB Cab. 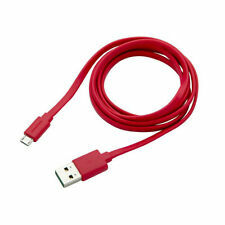 Micro USB Flat Noodle Charging Cable. STRONG FLAT NOODLE CABLE. Flat Noodle. 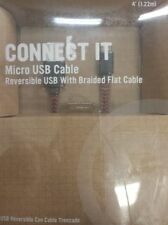 1 x Flat Noodle Micro-USB Charging Cable. plug into computers port and USB Power Adaptor. Compatible with Android Smartphones & Tablets. This Micro USB OTG cable connects your peripheral devices like mouse. 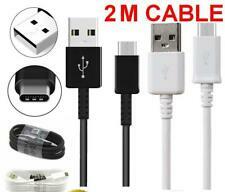 High Quality Micro USB OTG Cable. 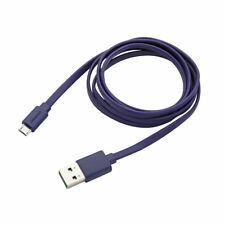 It's a high quality USB Micro-B HOST Cable, need your devices support USB host OTG function. 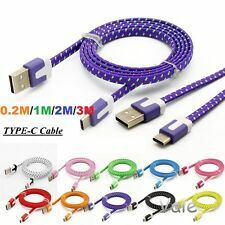 The Micro B type plug flat cable. Function: Data Transmission&Fast Charging. Type: 8 Pin. 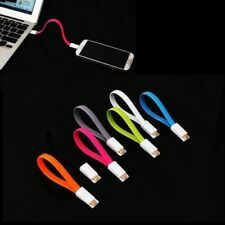 Generic 20cm Flexible Rubber USB Cable (Compatible with iPhones). 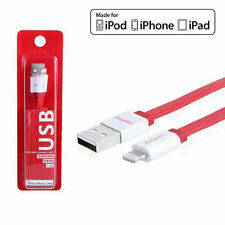 1 x 2A 20cm Ultra Flexible Rubber USBCable (Compatible with iPhone). High Speed 2A Rapid Charging USB Cablefor iPhone 5, 5c, 5s, 6, 6s, 6 PLUS, 7, 7s, 7s Plus, 8, 8 Plus.